Yeshua HaMashiach/Jesus Christ is righteousness/godliness revealed in the flesh (1 Timothy 3:16), declaring Elohim/God whom no one has seen (John 1:18), the everlasting Father who dwells in Him (John 14:10, 2 Corinthians 5:19). Indeed, He is the Word made flesh (John 1:14), the visible image of the invisible Elohim (Colossians 1:15), and the exact representation of His nature (Hebrews 1:3) for in Him the fullness of deity was pleased to dwell in bodily form (Colossians 2:9) just as the prophet Isaiah foretold (Isaiah 11:1-2). He is Immanuel, “Elohim with us” (Isaiah 7:14, Matthew 1:23), the arm of Yahweh revealed (Isaiah 53:1; Exodus 6:6). And so when we see Him we see the Father (John 14:9), when we hear Him we hear the Father (John 7:16, 12:49, 14:10,24). He is the aleph and the tav, the beginning and the completion (Revelation 1:8, 22:12-13); the Living Bread that came out of Heaven (John 6:51) whose origins are of old (Micah 5:2). All things have been created by, through, and for Him (John 1:3, Colossians 1:16-17, Hebrews 1:1), and all things and all authority on Heaven and Earth have been given to Him (Matthew 11:27, 28:18). As such He is the true Elohim (1 John 5:20) whose throne is forever (Hebrews 1:8) and at His Name, every knee shall bow, and every tongue shall confess that HE IS THE LORD which brings glory to the Father (Philippians 2:9-11) the One who has completed His work through Him (Matthew 26:39, Luke 22:42, John 4:34, 6:38), and finally, it is finished (John 19:30). I believe that God became incarnate in the person of Yeshua HaMashiach; that He was conceived of Holy Spirit and was born of the virgin Miryam (Mary); that He is truly God and truly man; that He lived a perfect, sinless life; that all His teachings are true (Isa.14:1ff. ; Matt. 1:23). 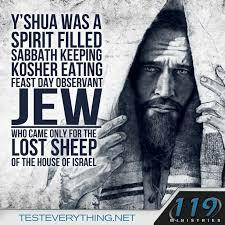 While on Earth Yeshua was a tzitzit-wearing, Torah observant, Seventh Day Sabbath-keeping, Feast-keeping, Biblically kosher Israelite from the tribe of Yehudah/Judah who came to proclaim the Kingdom of Yahweh; not to bring any “religion” or to abolish His Father’s Divine Instructions in Righteousness (Torah), without which we would have NO blueprint for moral, holy living (Matt. 5:17-19). I believe that Yeshua died on the cross for all mankind as a representative, vicarious, substitutionary sacrifice (I. Jn. 2:2; Isa. 53:5-6). I hold that His death is efficacious for all who believe; that our justification is ground in the shedding of His blood; and that it is attested by His literal, physical resurrection from the dead (John 1:12; Acts 16:31; Rom. 5:9; Eph. 1:17; Matt. 28:6; I. Pet. 1:3). My Heavenly Father’s Name is Yahweh [spellings vary] (Psalm 68:4; Isaiah 42:8; Jeremiah 16:21). Yahweh is His Name forever, and is the verb of existence (Exodus 3:14-15; Isaiah 63:12). He is the Supreme Ruler over everything. Worship is to be directed toward Him and He is to be venerated above all (Exodus 20:5, Deuteronomy, 6:4, 13, 2 Kings 17:36, Psalm 99:9, Matthew 4:10). We are commanded to use and revere Yahweh’s name (Exodus 20:7, Leviticus 22:2, Deuteronomy 28:58, Psalm 105:1, Isaiah 52:6, Matthew 6:9, John 17:26). He is the one true Elohim/God, eternally existent and that He is Echad/One, that is, a composite unity who revealed Himself to man as: The Father, Son and Holy Spirit (Gen. 1:1-24; Deuteronomy 6:4; Isaiah 44:6, 45:22; Zechariah 14:9; Mark 12:29; I Corinthians 8:4; Rev. 21:1-7). 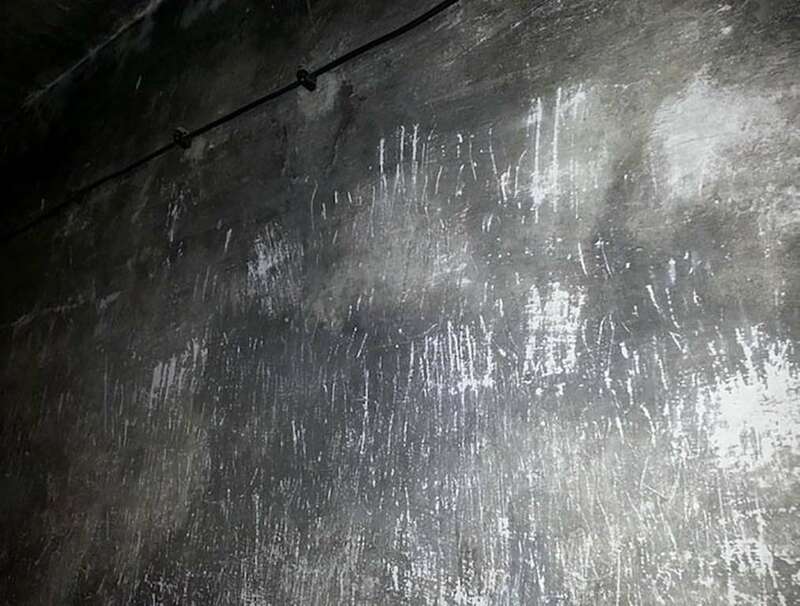 The inside of an Auschwitz gas chamber shows scratches from struggling victims of the Holocaust. LOOK HARD AT THE PICTURE ABOVE! The Holocaust didn’t happen? People scratched it for fun? People accidentally got locked in and tried to claw their way out? Yeah you know what some people are insane, sick and in major denial. The picture is the inside of an Auschwitz gas chamber which shows scratches from struggling victims of the Holocaust.